I love combining natural elements with a little touch of glitz. 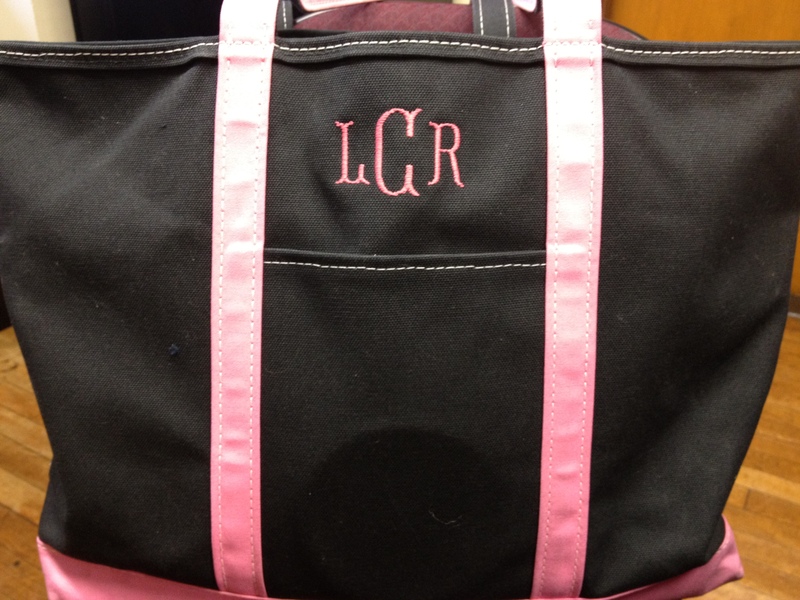 I also love monograms. 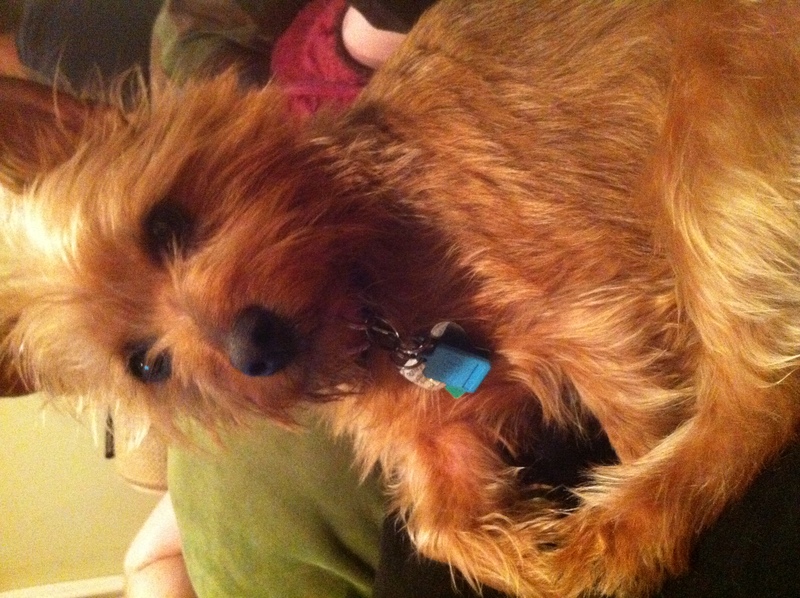 So, basically, I love this little guy a whole lot! A birch slice (purchased at Michael’s, because I live in the city). 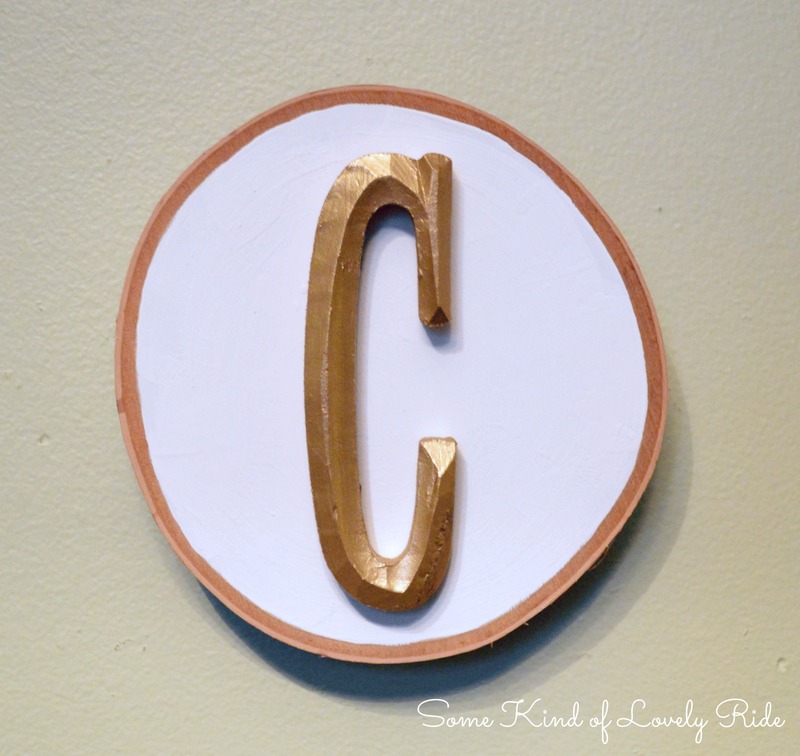 A wooden letter C – I have like 7 “C”s in various sizes & materials. 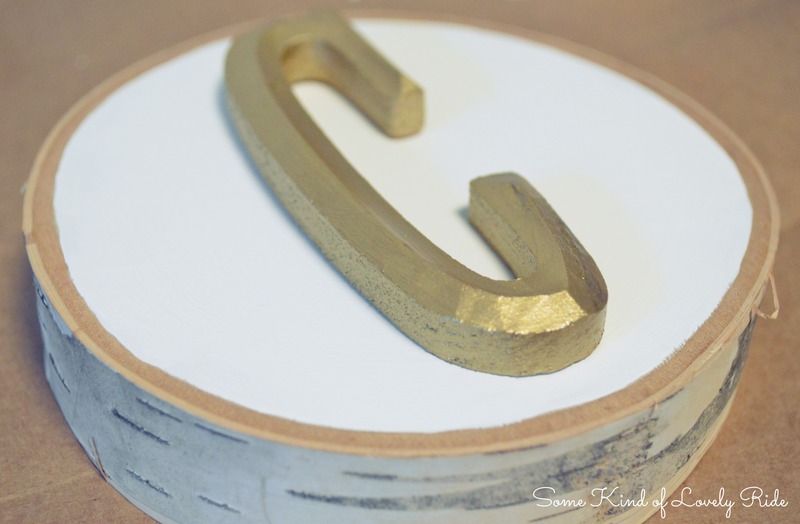 I love my last initial, because I love that I share it with my hubby! 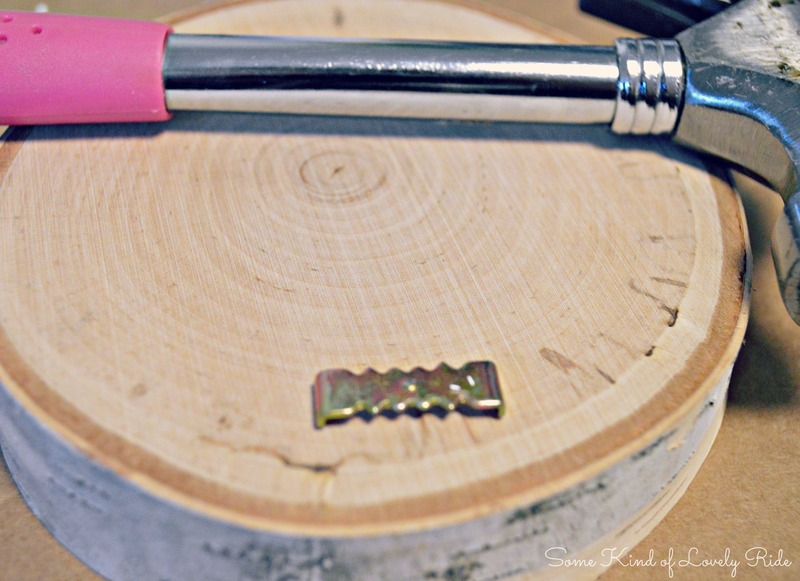 First, I nailed the picture hanger into the back of the wood slice. 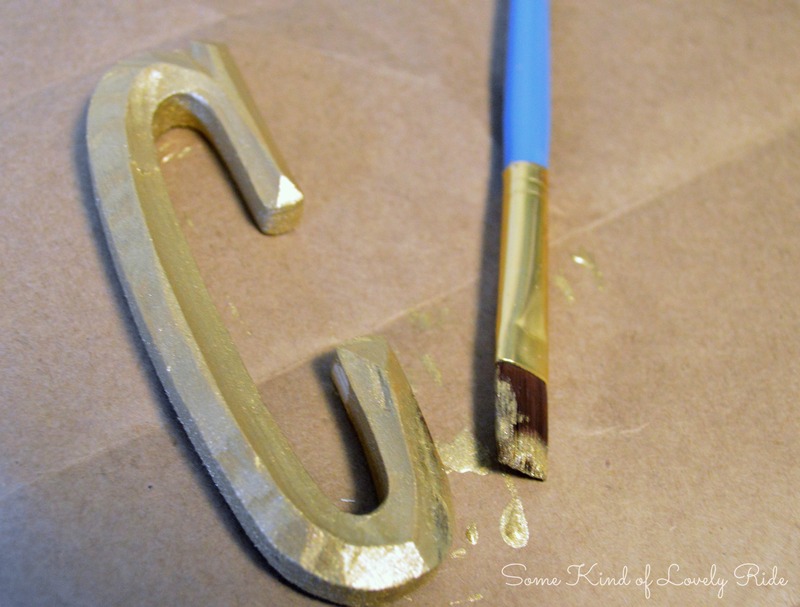 Then painted the C gold – two coats. 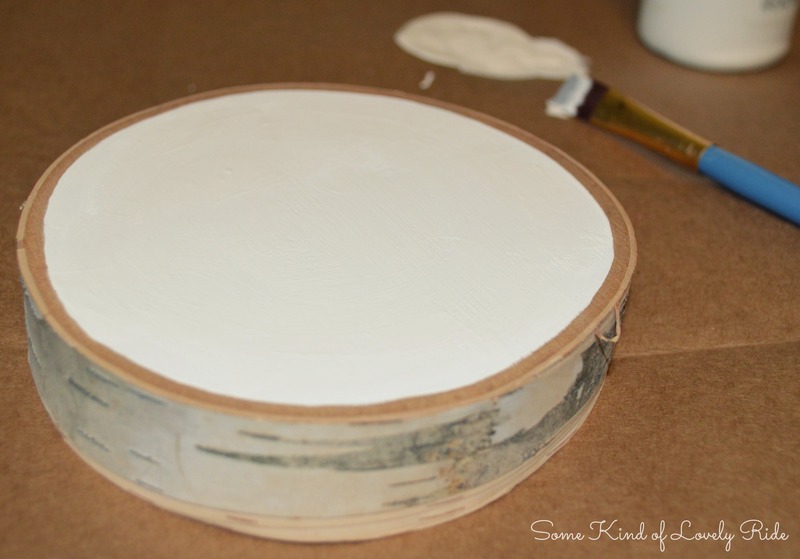 And I carefully painted inside the wood slice with the white. 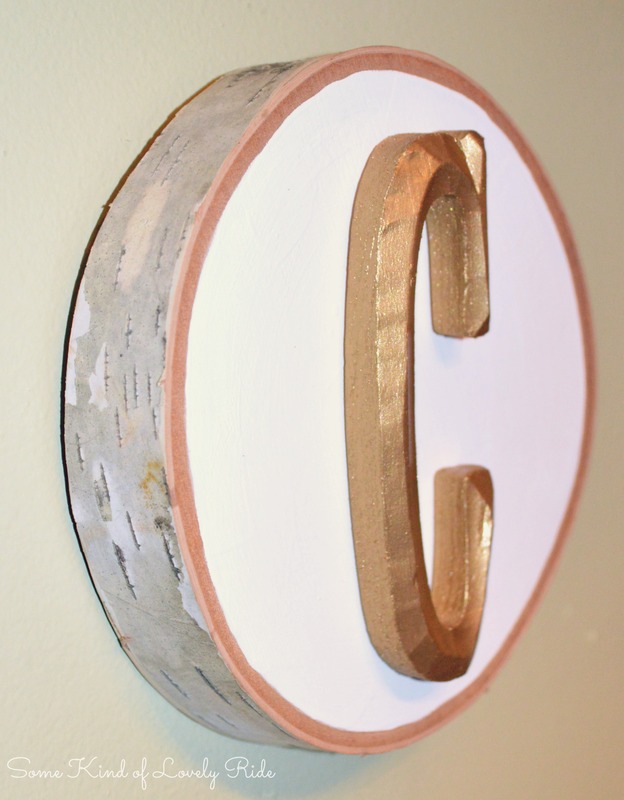 I attached the letter with wood glue, and hung this baby on my wall! I’m sort of obsessed with this. 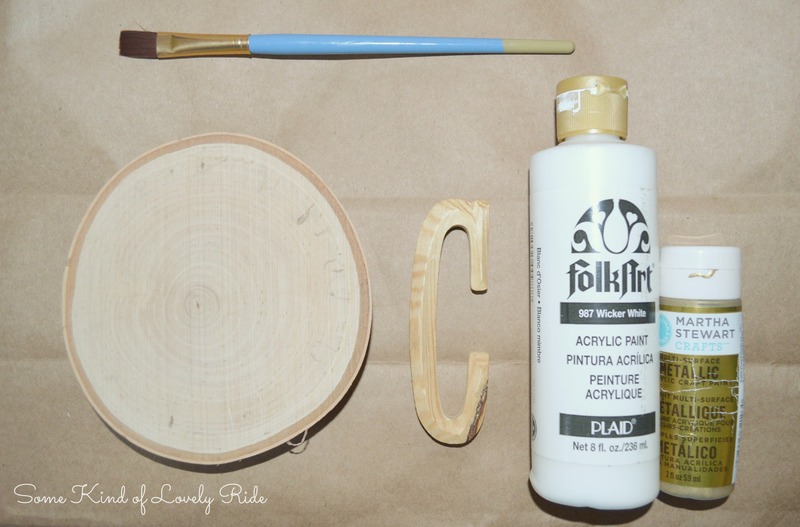 Like I want to make about twenty five more and create a whole birch-slice-alphabet-wall. How about you? Make anything cool lately!? 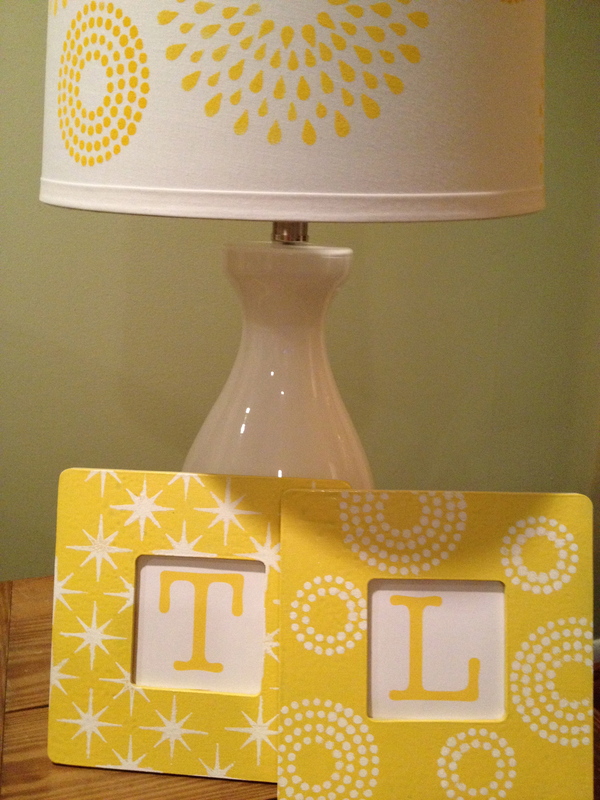 The Martha Stewart stencils I picked up at Michael’s were an awesome grab. 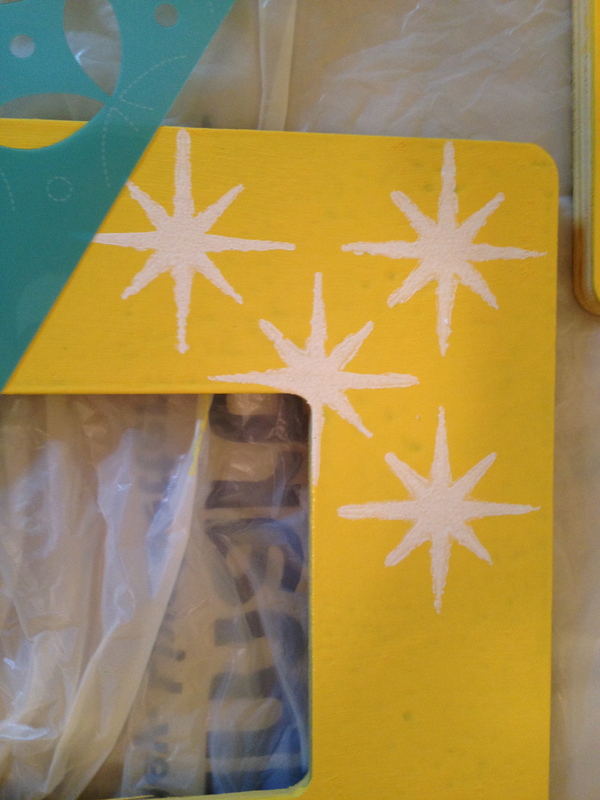 After beautifying this lampshade, I turned to a pair of unfinished wood craft picture frames I had in my stash-o-crafts (what FH has dubbed my ever-growing section of our front closet). 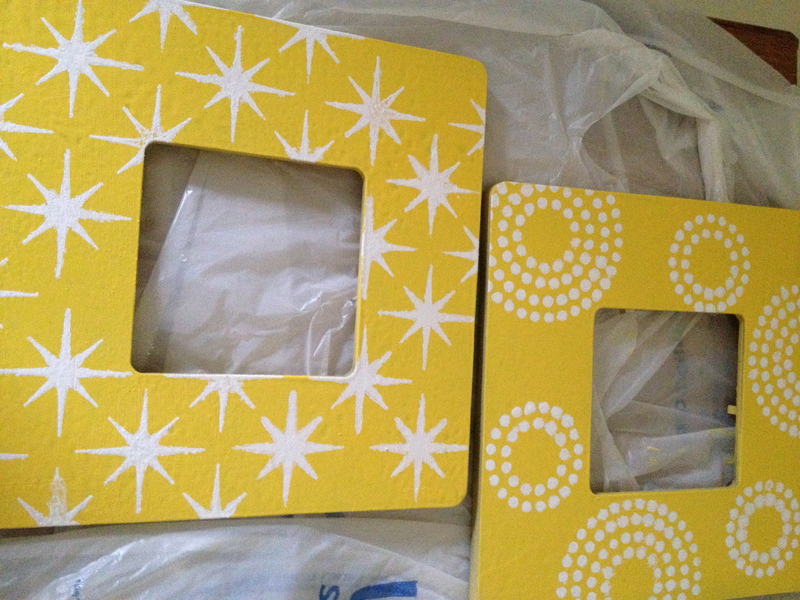 Figuring these would find a nice home in our living room, with my new happily-yellow accents, I sprayed the two frames with Krylon Bright Idea. I was not thrilled with the way the spray paint covered the frames (I used primer, and put on several coats- but just was not getting the coverage I wanted). 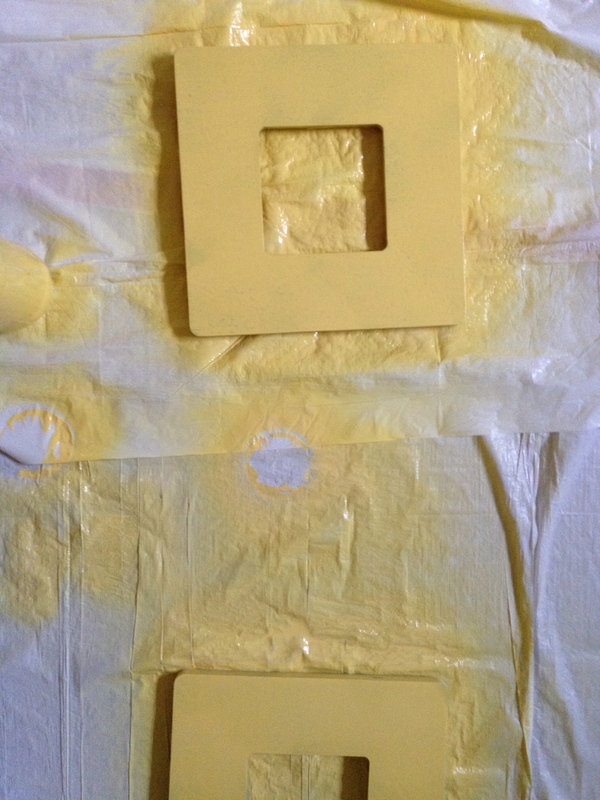 So I slapped on some of my Folk Art Medium Yellow craft paint for a brighter finish. 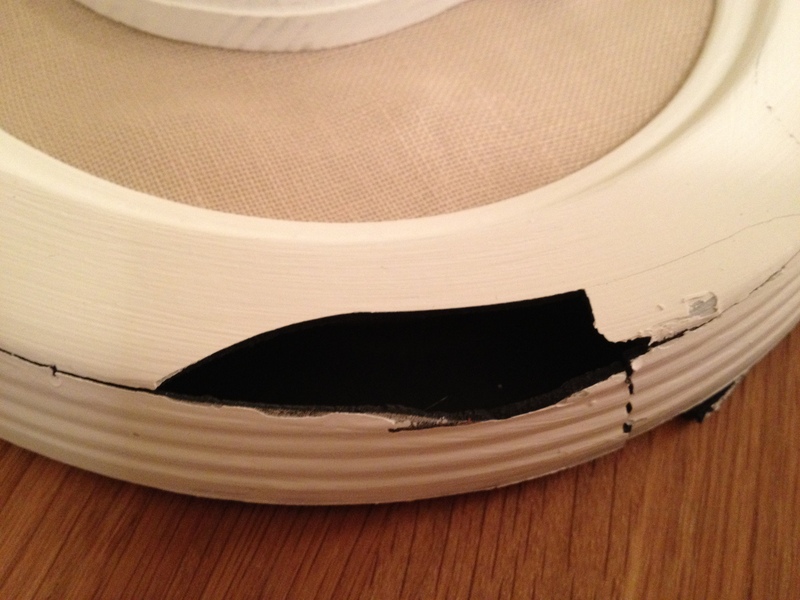 Anyway, I carefully placed my stencil several times to get my repeated pattern. 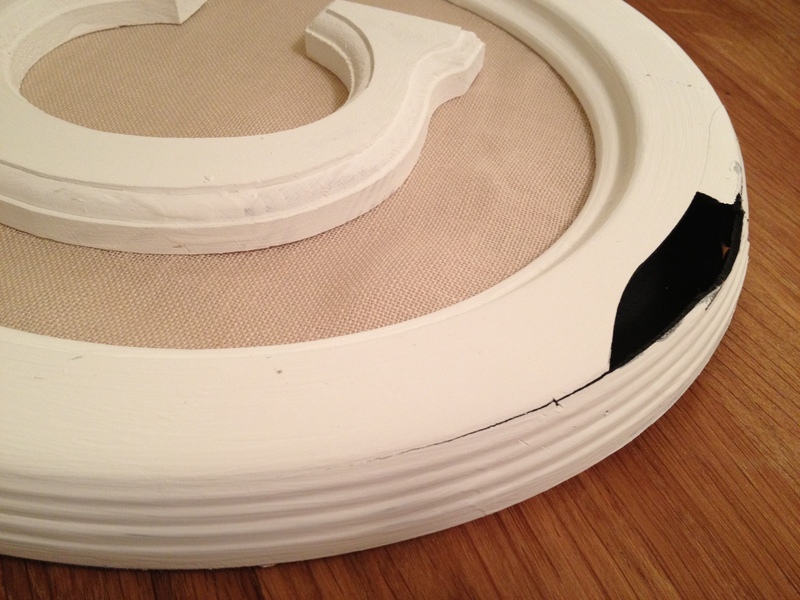 With the circular stencil (the same dotty-circle stencil I used on my lampshade) I alternated between painting the entire circle and the just the inside parts. I think these little babies turned out super cool. Gosh yellow is just SO happy! 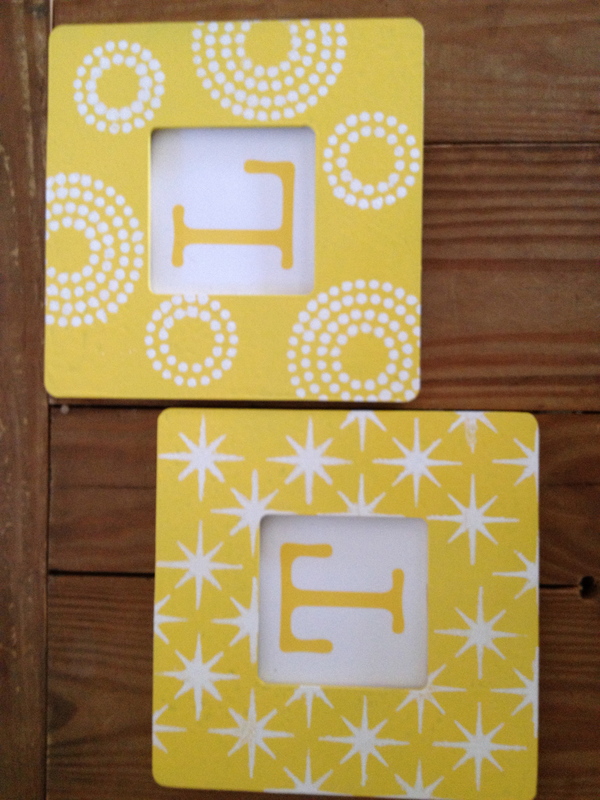 Not wanting to take away from the prettiness of the stencils with actual pictures, I printed out our first initials in yellow onto white cardstock. What do you think? I have not found a home for these frames yet, as I’m waiting on a few larger pieces of the living room to come together first. But I love them! P.S. 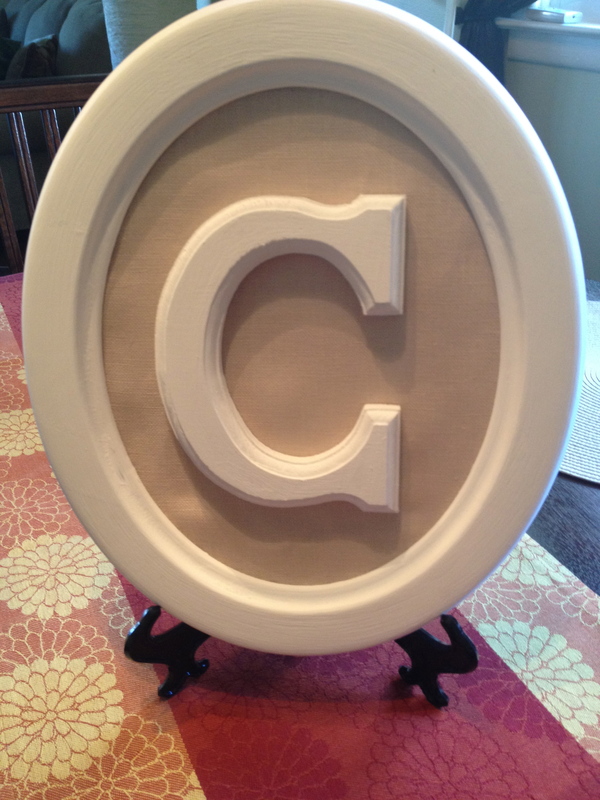 I know what you are thinking… where is Emma’s initial & frame? I only had two so the little pup-princess was left out this time. 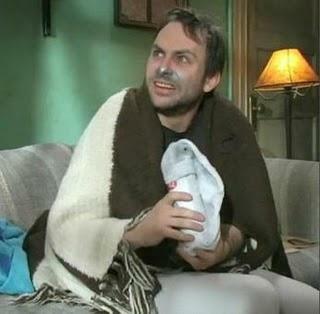 But I’ll make it up to her. Besides, her silhouette art is twice the size of FH’s and mine… so I think we are even! What have you painted lately? And what is your favorite decorating color these days? 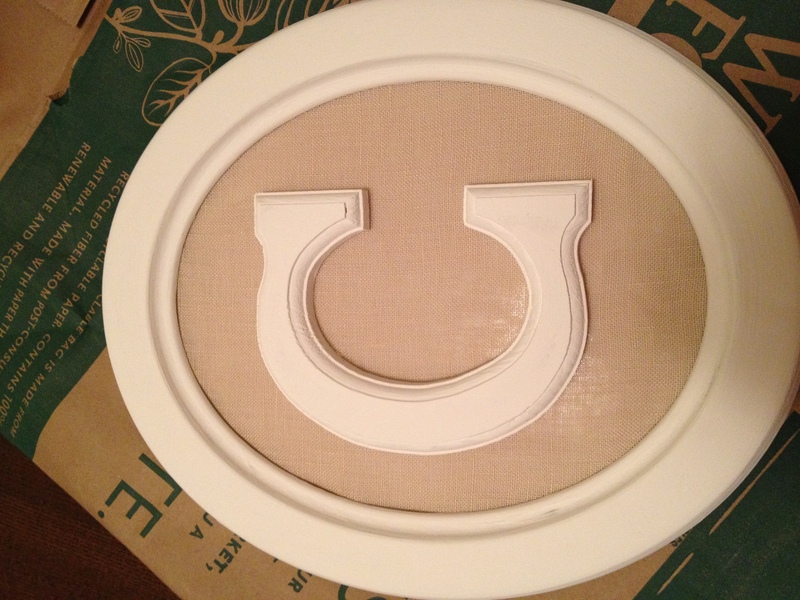 Remember how proud I was of my little Monogram Wall Art created after a particularly lovely Saturday at the craft store? 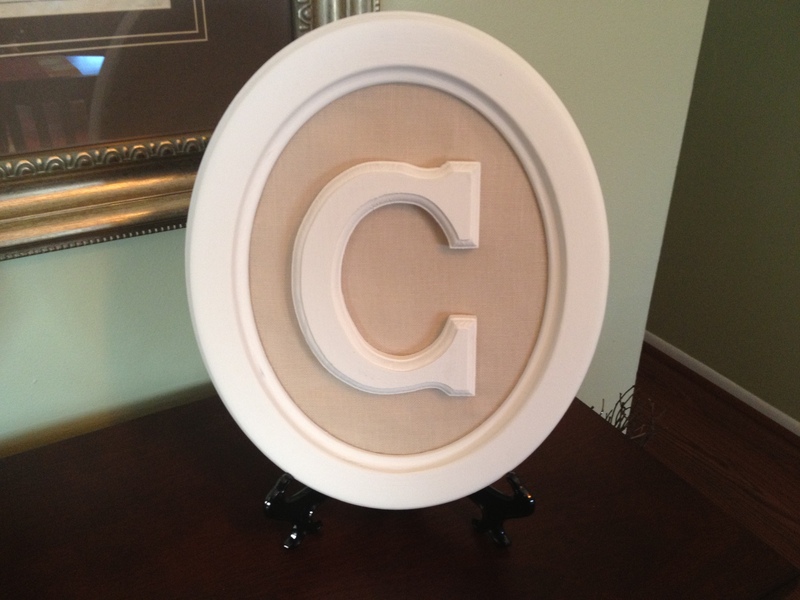 It found a home on the door to our coat closet, and was a nice touch to our living room. FH loved it, and my future in-laws (FILs?) admired it as well. 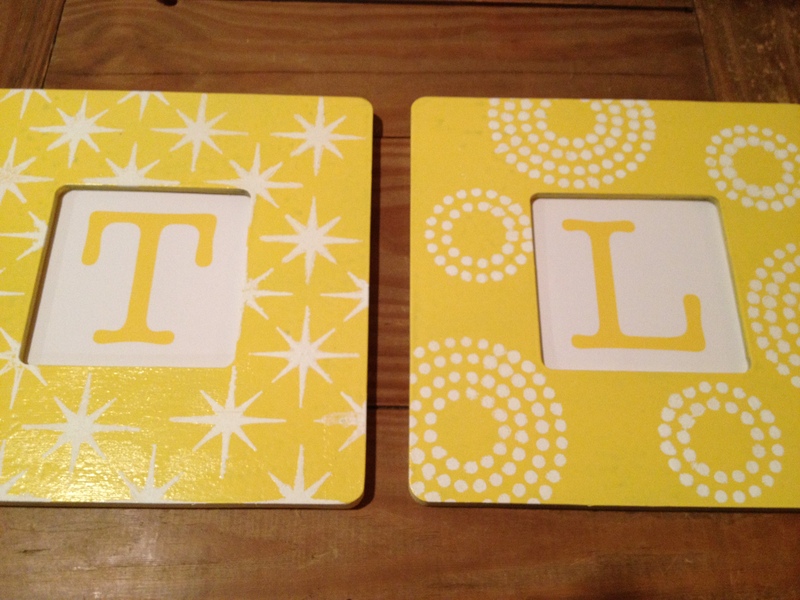 I’m not sure if this was some don’t-make-crafts-with-your-future-monogram-until-you’re-really-married-and-have-changed-your-name karma, or just poor hanging technique on my part, but either way my little frame spontaneously fell from it’s nail in the middle of dinner last night. 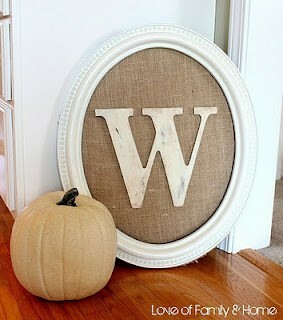 The frame broke- however the burlap-covered glass piece & letter remained intact and well-glued. 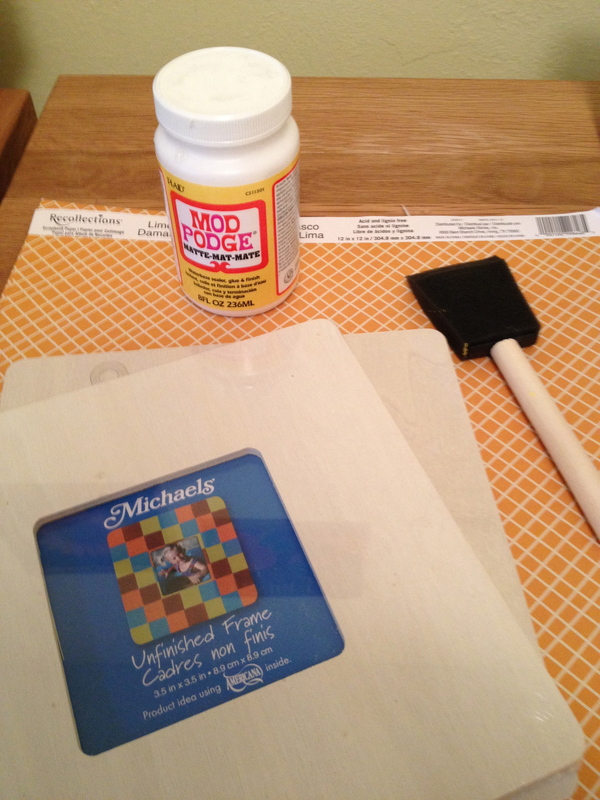 No matter- I’ve been jonesing to return to Michael’s anyway, so I guess I’ll just have to swing by this week & pick up another frame, then simply pop the glass out and stick it in a new frame (after I paint it white- the original frame was a black oval). Then, I will hang it ‘properly’, as FH says I put the nail in wrong. How many ways are there to hammer a nail into a door? Apparently a wrong and a right way, at the very least. 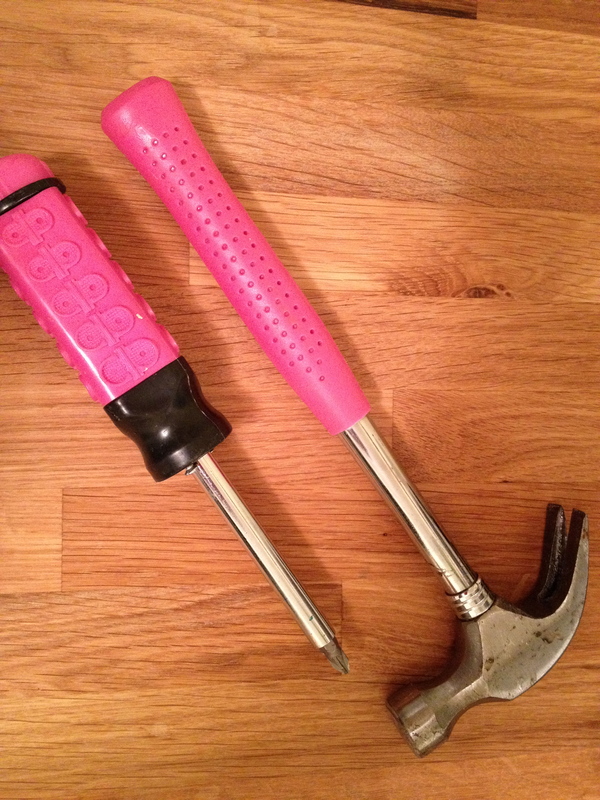 As long as I hammer the new nail in with my trusty pink hammer, I’m sure it will hold this time.